It is now a year since the National Consultative Committee on Racism and Interculturalism (NCCRI) closed its doors for business, as a result of budget cuts at the end of 2008. Unfortunately, it is not so simple to close the door on racism. Racism is on the increase across Europe and Ireland is no exception. This fact is highlighted by recent research by both European Network Against Racism (ENAR) and the EU Fundamental Rights Agency (FRA). An alarming finding from ENAR research is the revelation of an increase in racist crime across Europe. 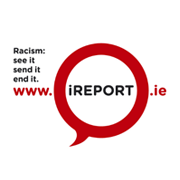 FRA research identified Ireland as among the worst six countries in relation to the level of discrimination, with 73% of those surveyed from Sub-Saharan Africa stating that they had experienced racism in Ireland. 25% of those from Central and Eastern Europe also reported experiencing racism. At a political level, there is evidence of an increase in prominence of far right parties in a number of EU member states. Ireland does not have the same history in this regard; however, we should not feel immune to increases in racism on the ground or at the political level. The Irish Government has not said that it is okay to be racist. However, the Government has diminished our capacity to respond and to prevent racism, through disproportionate cuts to the equality infrastructure that took effect at the beginning of 2009. More recently, we are witnessing further problems through cuts and restructuring of support for community development organisations that play a critical role at a local level. In the context of these cuts, any potential impact we could have hoped to see by the recent 6% increase to the budget of the Office of the Minister for Integration (OMI) is undermined. Indeed, the 2009 budget had already introduced a cut of approximately 25% to the budget of the OMI. Cuts are but one example of actions that send a message that it is okay to target certain groups, with limited consequence. The existence of the Housing (Miscellaneous Provisions) Act 2002 which criminalises trespass on public or private land is another example. This Act disproportionately affects Travellers and leaves people homeless. Combined with a failure to provide adequate, appropriate accommodation for Travellers, the Act is one of the factors that render a nomadic lifestyle near impossible. The discretionary criteria and arguably application of the Habitual Residence Condition which limit access to certain welfare payments to migrants, are also creating great hardship for people who are vulnerable at this time. The denial of access to child benefit to asylum seekers - copperfastened in the recent budget - clearly lets us know that not all children are equal. The Government’s actions may speak louder than words. An area where inaction is particularly problematic is in the area of racist crime and incitement to hatred. Significant problems with our current legislation, the Incitement to Hatred Act 1989, have been noted at the national and the international level. For many years now the Act has been under review. However, we are yet to see any legislative change or clear outcome as a result of the process. At a time when we see evidence of an increase both in the level and severity of racist incidents across Europe, action in this area must be a priority. Legislation and policies are a key factor in shaping public opinion. Institutions are central to creating the conditions that determine whether minority ethnic communities experience equal or unequal opportunities. Evidently, there is a lack of clear and consistent political leadership regarding racism. Silence on the issue is telling. Those less directly affected by racism may prefer to deny racism; some of us do not like to think it exists. Denying the problem does not make it go away. Those experiencing racism know it exists, know what it looks like and how it feels. Racism manifests both overtly and covertly. Minority ethnic communities including Travellers experience racism on a daily basis in all areas of life although racism is perhaps more visible to others when manifesting in the form of physical abuse and violence. We can no longer deny racism or our role in perpetuating it. We cannot let ourselves off the hook by assuming that racism is an inevitable consequence of recession. The link between an increase in racism and our weakening capacity as a society to name it and respond, should not be ignored. Government, politicians and all those in leadership roles have a responsibility to counter racism. We must acknowledge and take up our role in making sure that we have the capacity to protect our society against racism; otherwise we are also culpable. For our part, ENAR Ireland shall work tirelessly to ensure that racism is not forgotten by those whose role it is to address it. We shall endeavour to support those who are trying to do their part. The poet Alice Walker advises us to ‘keep always in mind the present you are constructing, it should be the future you want’; she might similarly warn us to be careful of what we do now as we shall have to live with the consequences. ENAR Ireland is calling for strong political leadership. We need political leadership that sends a clear message that racism is not acceptable, both in words and in actions.